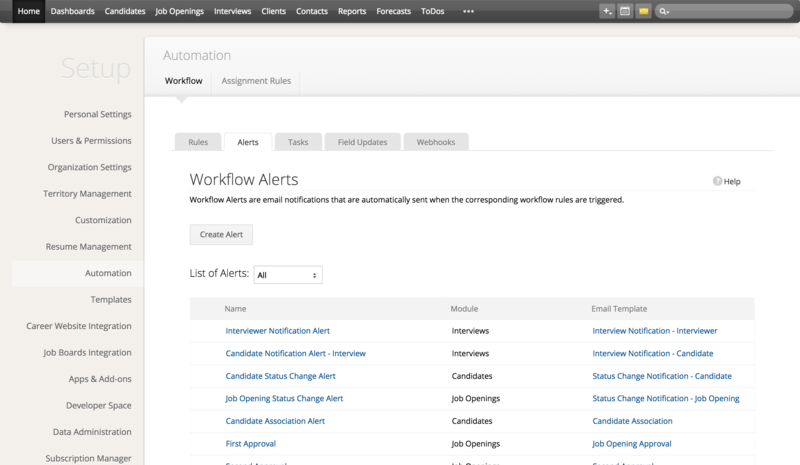 Zoho Recruit provides features and workflow that would cover the scenarios of any organization, but we do understand that not all of you have the same exact flow/fields. Hence you can customize the existing custom fields, add extra custom fields and add custom status. In every module you can add custom fields to hold any other information you might need. Custom fields for different data types are picklist, date, lookup, single-line, multi-line, etc. 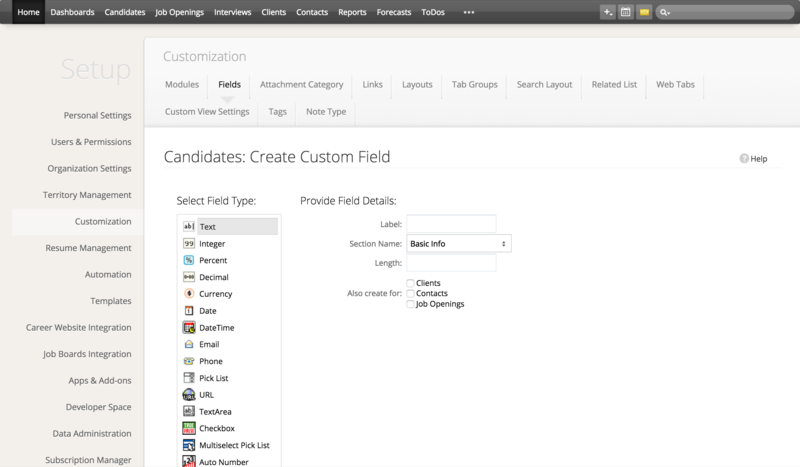 Add custom status to the Candidates and Job Opening modules. Hence, Zoho Recruit can be easily adapted to your business process. Zoho Recruit automatically notifies the users through mail alerts on addition of a candidate, job opening, client and contact, which enables the recruiters to jumpstart on the next level activities. Change the default Zoho Recruit logo by personal company logo, which gives a personalized look.